In the early morning hours of Thursday, April 28th, a Seward County Sheriff’s deputy conducted a routine traffic stop on Hwy 54. During the stop the Deputy became suspicious of the answers being given by the driver and passenger of the vehicle. Further investigation with the assistance of the Kansas Bureau of Investigation, uncovered a hidden compartment in the vehicle. 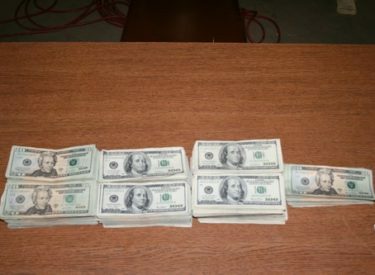 Law Enforcement Officials found approximately $63,000.00 in US currency hidden in the compartment. The 29 year old male passenger was arrested on an unrelated outstanding warrant. No charges have been filed in connection with the traffic stop at this time.